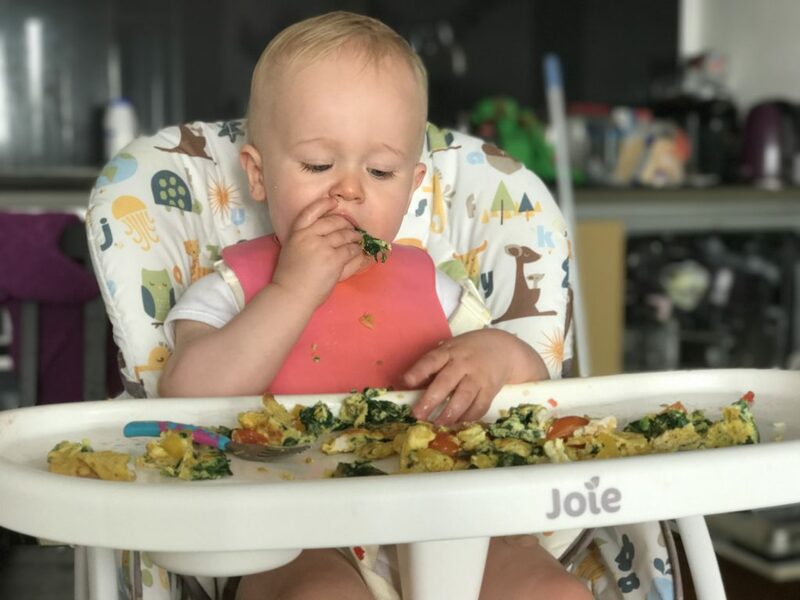 When Dex first started weaning, I gave no thought to the type of high chair we wanted and bought one of the first ones I found on Amazon. It was okay but I found it difficult to clean and I ended up having to cut out the straps because they were so filthy. 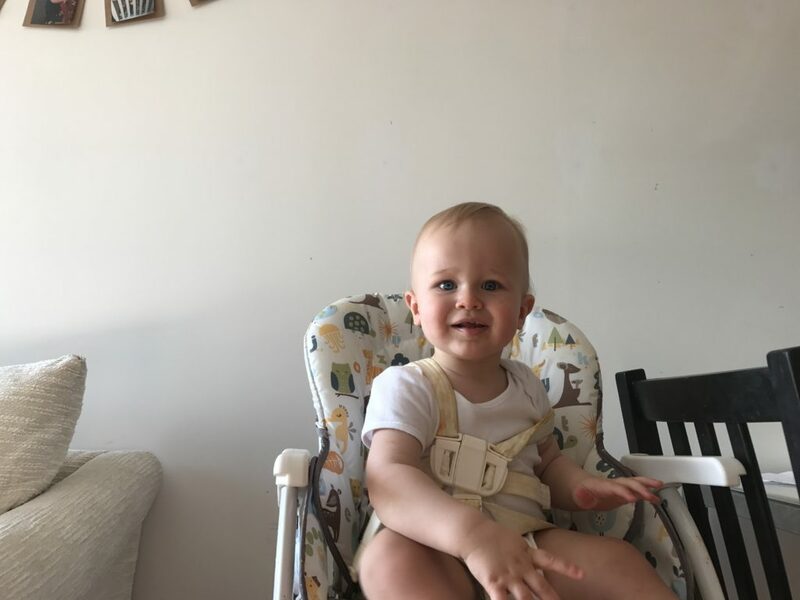 At around eleven months of age, Dex started trying to stand up in it, and without the straps, the thing had become absolutely perilous so I decided to buy a new high chair. My mother-in-law had borrowed a Joie Mimzy Snacker from a friend and when I saw it in action, I decided it was absolutely perfect for use at home as well. 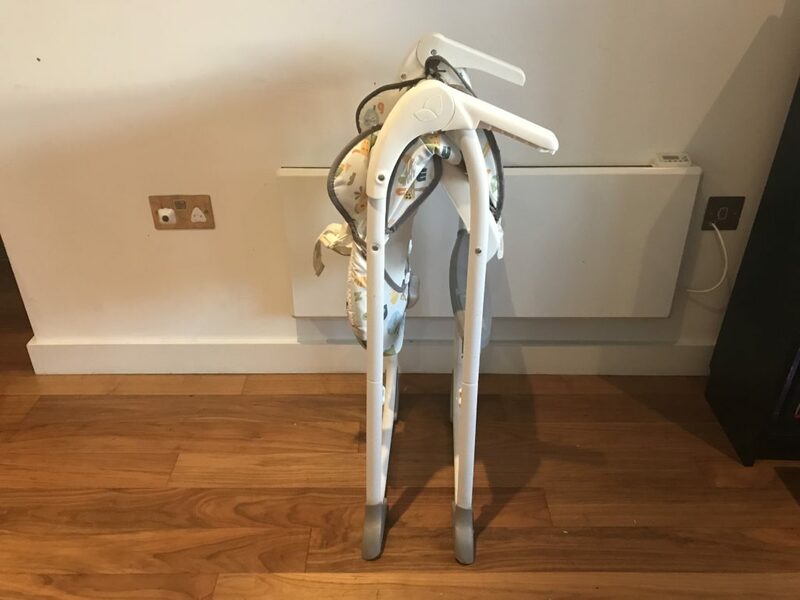 The chair retails for around £50 which is a fantastic price considering the quality of the brand and the range of features it has. It promises to grow with your child and so is suitable from 6 months until the age of three. 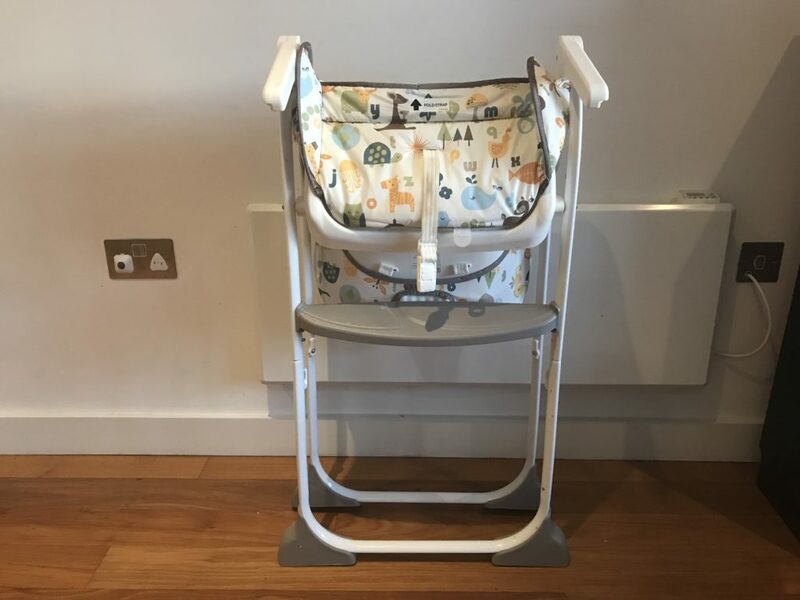 It comes with a large three positional tray with cup holder, a seat which reclines equipped with a removable, wipable seat pad, a footrest and large storage basket which is positioned beneath the high chair. 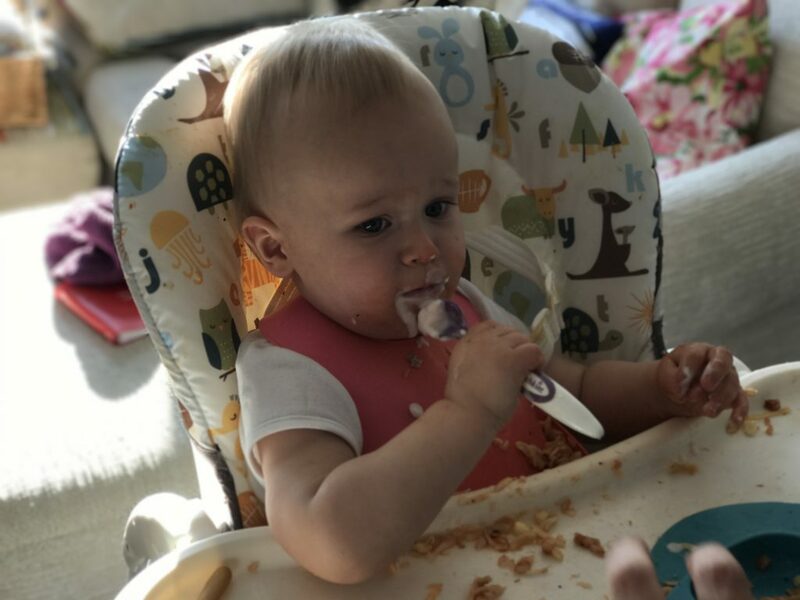 The highchair can be quickly folded one-handed so it takes up less room in an already overcrowded kitchen/lounge. 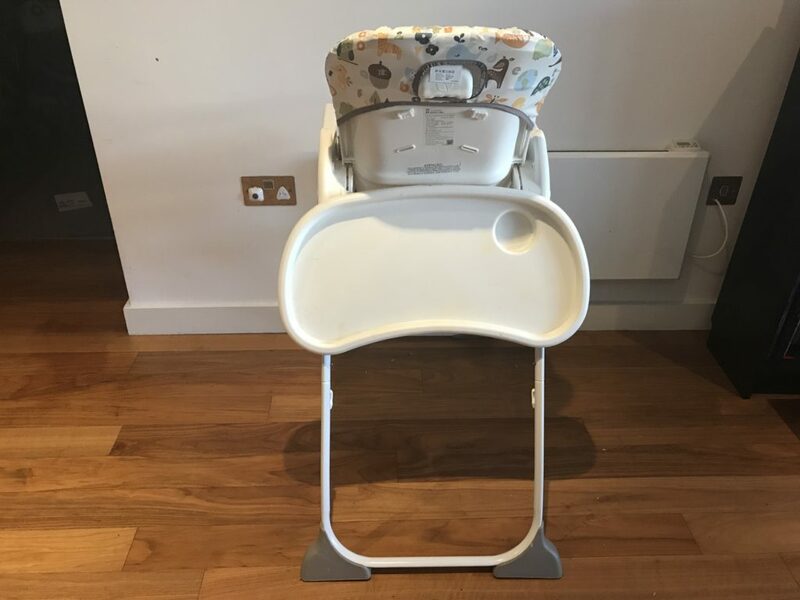 The tray can be stored on the highchair’s legs meaning even more space is saved. 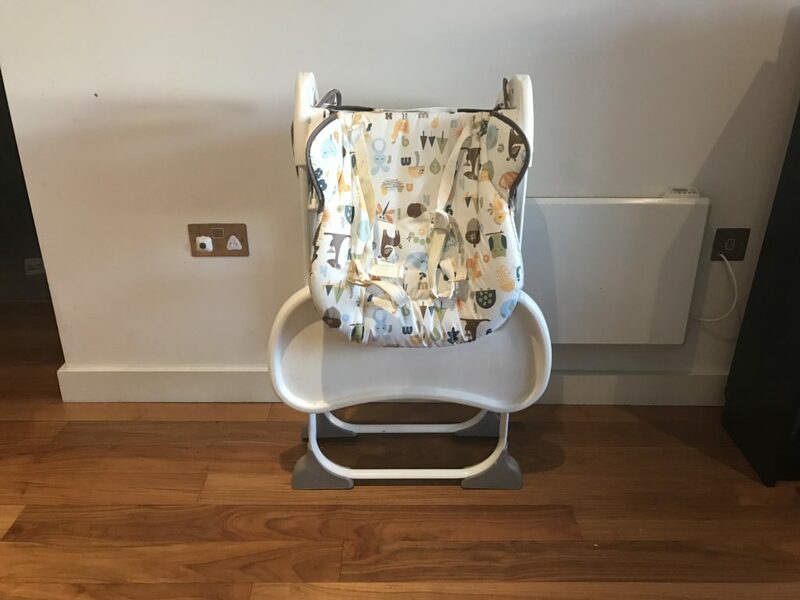 The high chair comes with a large net basket, perfect for storing bibs, cups and plates and saving me have to run around the flat looking for a clean bib. I absolutely love this high chair and so does Dex. He seems so much more comfortable and is happy spending a significant amount of time in it playing as well as eating. I love how compact it is when folded and the designs are just so pretty. What’s more the price is just phenomenal. Thank you for reading my Joie Mimzy Snacker review. You can read more of my reviews of baby products here. You can purchase the Joie Mimzy Snacker here. Disclaimer: I purchased the Joie Mimzy Snacker myself for the purpose of this review. This review contains affiliate links. A couple of my friends have this one and rave about it as well! He looks very happy in there! 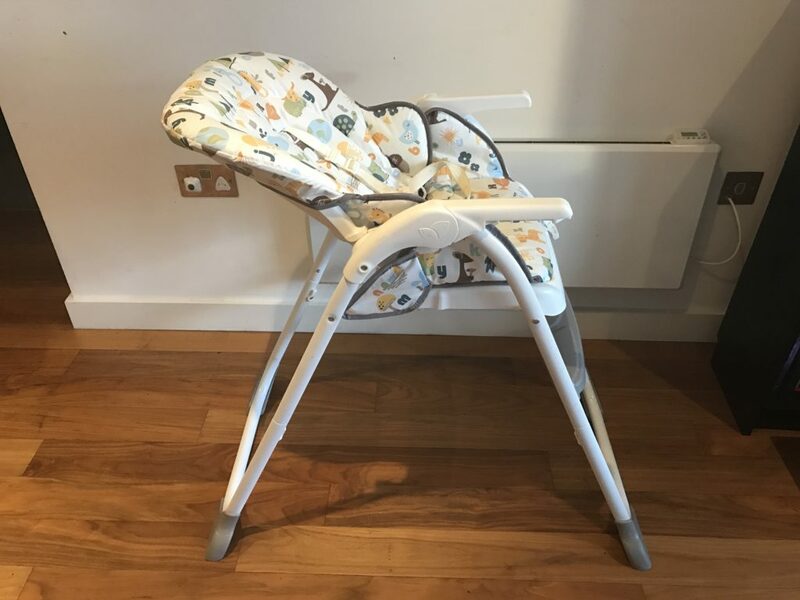 Love the look of this high chair, especially the big tray – always handy.